HTC's new Android phone, the Hero, has been announced for pre-order by Amazon for the sprightly sum of £429. Users will be able to get their hands on the phone that many have dubbed the 'Twitter-phone' (these aren't the most imaginative people) from 15 July, according to the site. It might not be nailed on as a date (these things generally have a few days' slippage) but given we haven't got a due date from the likes of Orange or T-Mobile, this is the best Android news we've heard all day. It's doubly good as the new release comes SIM free, so all those on O2 not wanting the iPhone (yes, they do exist) will have some more options, at least until the network inevitably announces it will be stocking the Palm Pre. 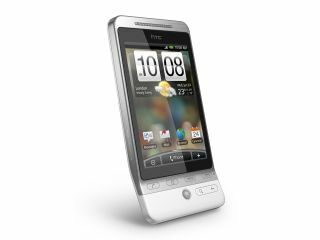 The HTC Hero will also bring the first experience of a skinned Android phone when the Sense UI from HTC, which takes its cues from the successful TouchFLO skin used on HTC's Windows Mobile phones. So if you want to experience the next level of Android and have £430 kicking around (buy yourself a Coke to celebrate with the change) then head on over to Amazon.